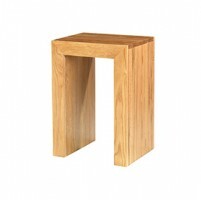 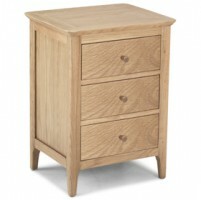 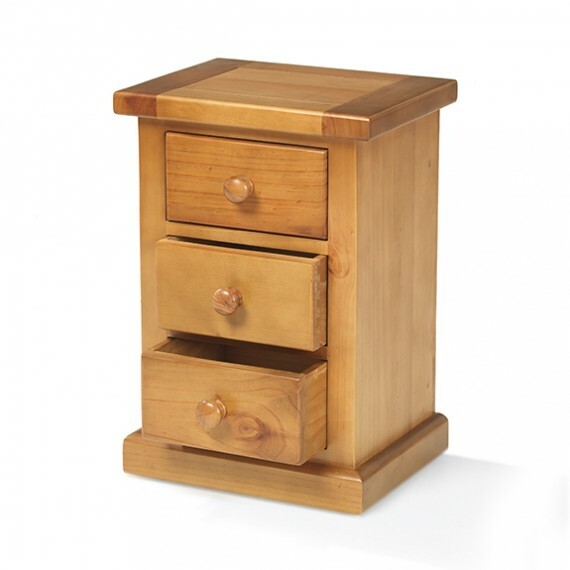 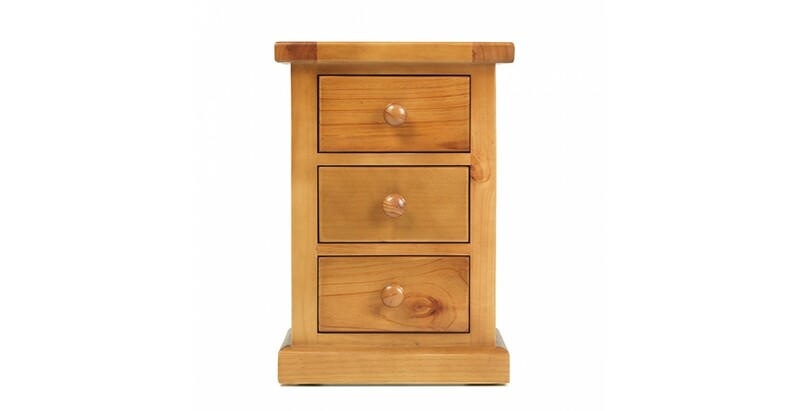 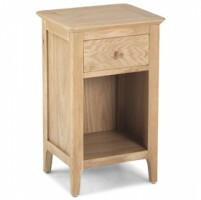 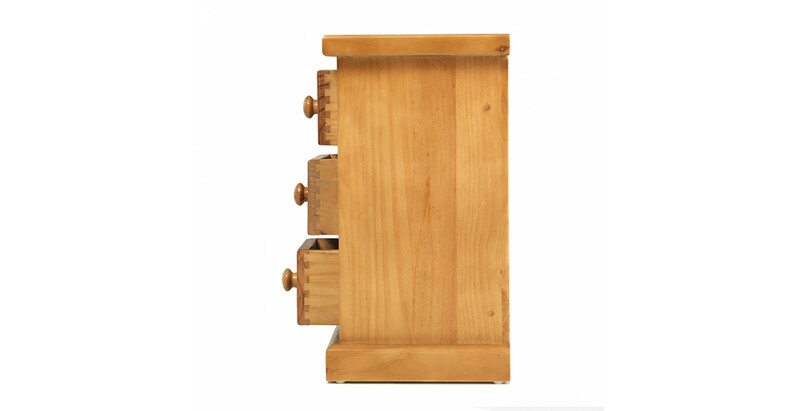 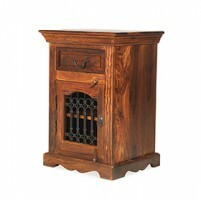 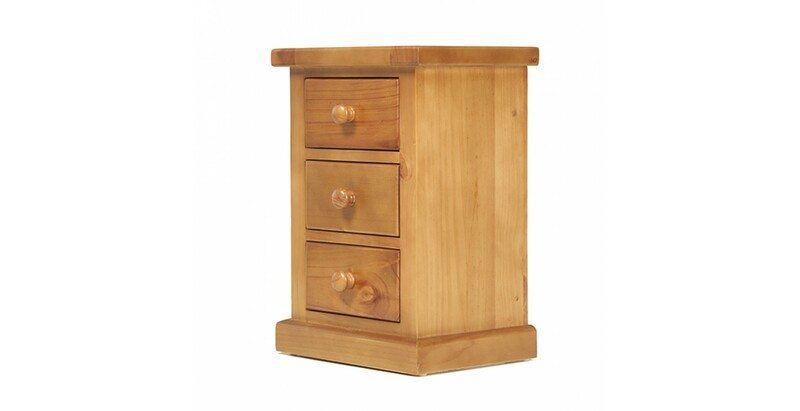 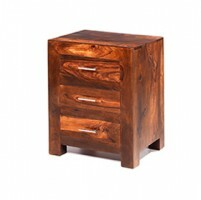 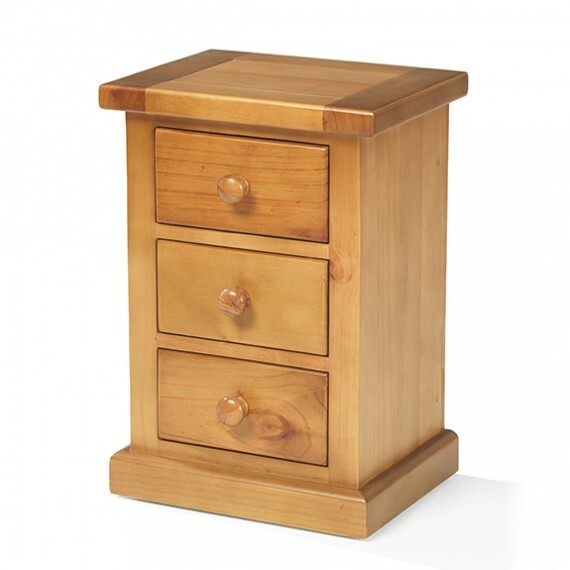 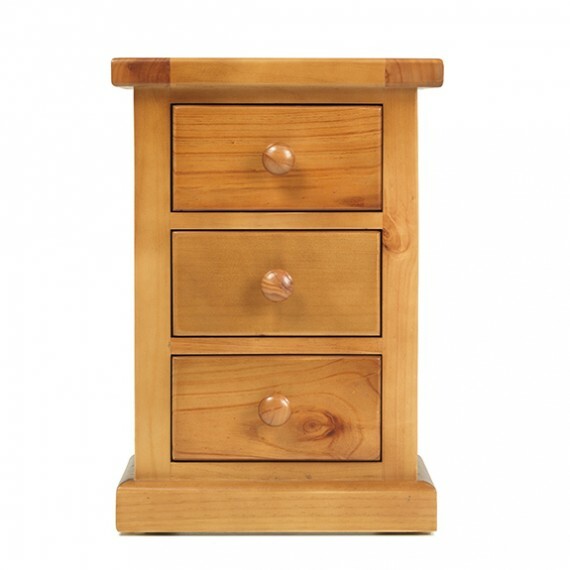 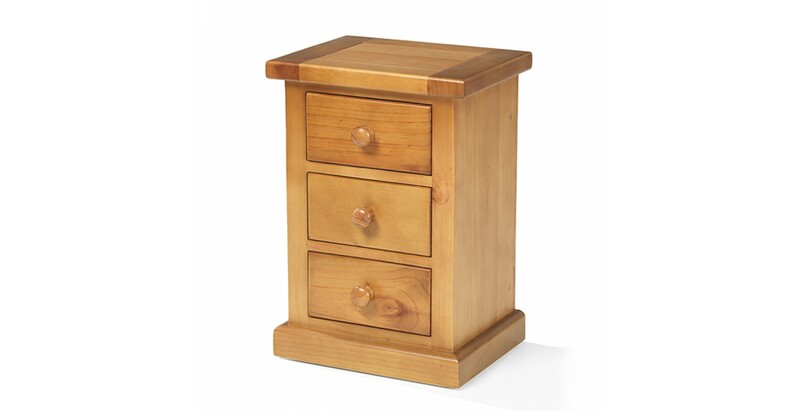 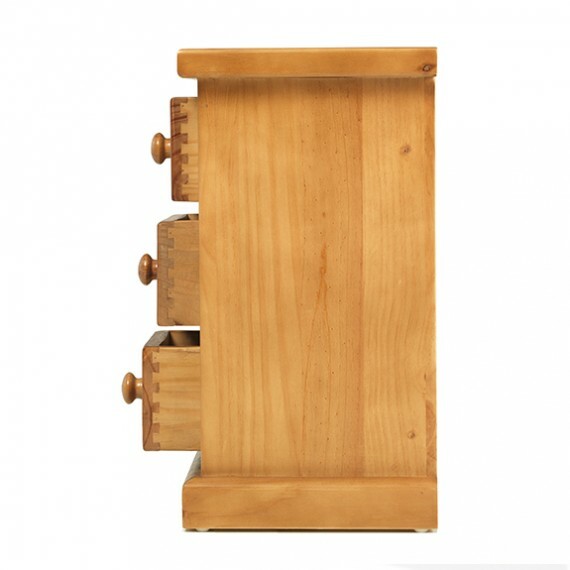 Reliably solid and made from pine using traditional joinery techniques, the clean lines of this smart bedside cabinet will sit happily in any décor. 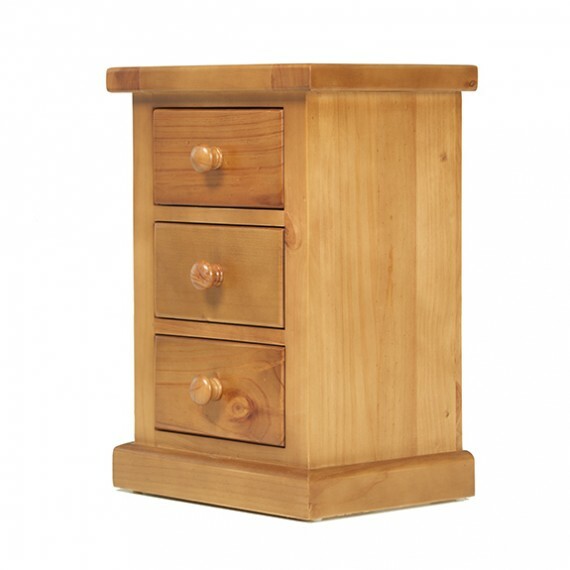 Standing on a sturdy plinth, it has three spacious drawers for night-time essentials and a chunky surface for things you need to keep to hand. 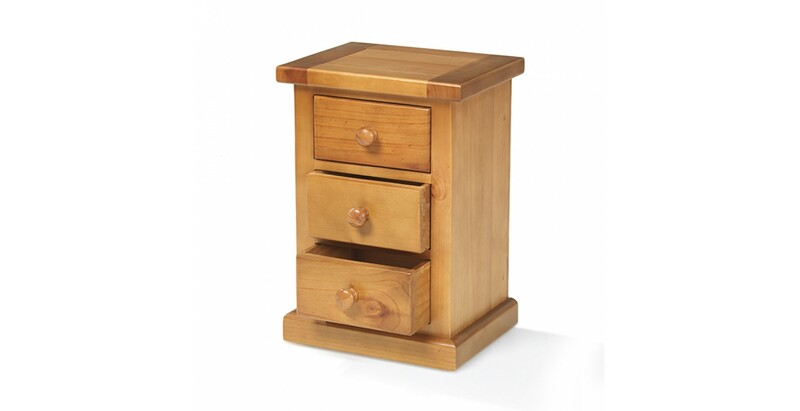 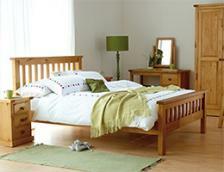 Given a light oak stain and finished with a protective matt lacquer, it will make the perfect bedside companion for one of our matching beds.